Ok…this is a weird idea…I know. The V doesn’t stand for Valentina which is “accidentally” my name, stands for Vintersorg instead, my favourite singer, artist, musician. I took the gothic look of the V-letter from the band logo, which is really beautiful in my opinion. I did this cake to celebrate this birthday with him and my internet family – The ultimate metal forum friends. With this post I would like to thank all the guys of the UMF for being the wonderful persons they are! A big thanks goes especially to Vivi and Dany for keeping the secret about this insane plan and giving me suggestions (“to be or not to be?” or better…. “to put galaxies or not to put galaxies?”)!!! But the biggest thanks goes surely to Andreas, a person that has changed my life (but I dare to say OUR LIVES) so deeply that he cannot probably understand, for spending his precious time talking with us, for keeping us always updated about all the news, and making us feeling welcome and a family! 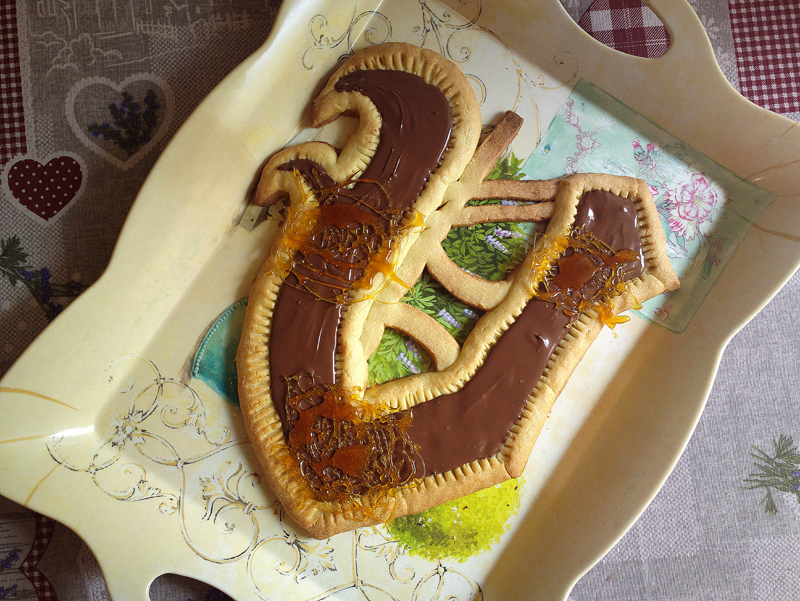 I prepared the decorated Nutella mini tarts for my boyfriend’s birthday. He loves Nutella! He loves dragons! So i decided to combine the two things together. I made 4 decorated tarts, to be sure he had a little bit of assortment. I made two tarts with lovely heart shapes and one with an reindeer, but guess what? He chose the dragon, needless to say! I made the reindeer tart for me. Honestly there are two teories about this cutter, someone says is an elk, someone an octopus (if you look it upside down). Anyway reindeer, elk or octupus this cutter is really cute! 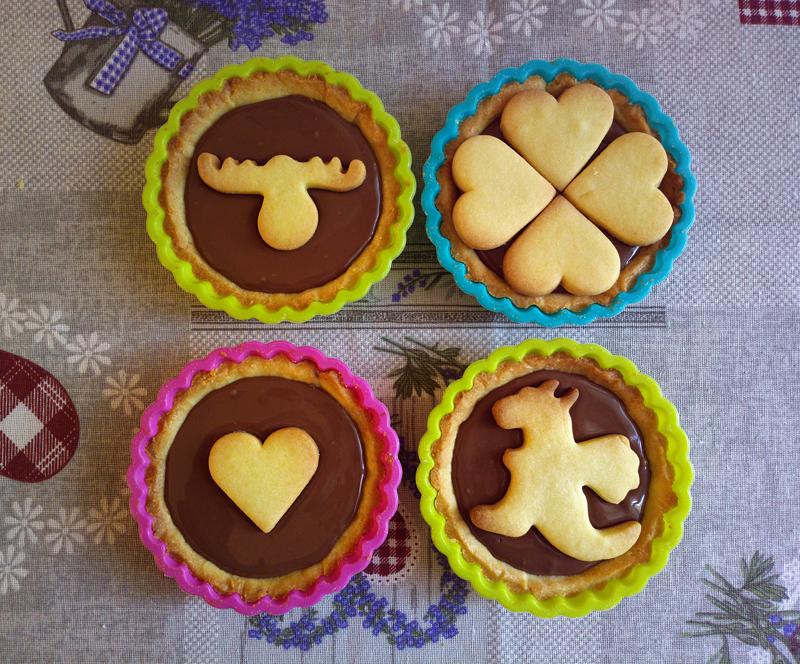 These decorated Nutella mini tarts are really easy to do. You just need to do a shortcrust pastry and do a blind baking, then cook some shaped biscuits to decorate the tart and finally fill it with Nutella. 3 simple steps for an amazing result. Tiramisu is an Italian classic. It’s probably the most famous Italian cake in the world. Because of course mascarpone cheese is damn good! Probably it’s not so easy to find abroad, and likely quite expensive, but when you will try this cake, you will not regret about your efforts to find it. 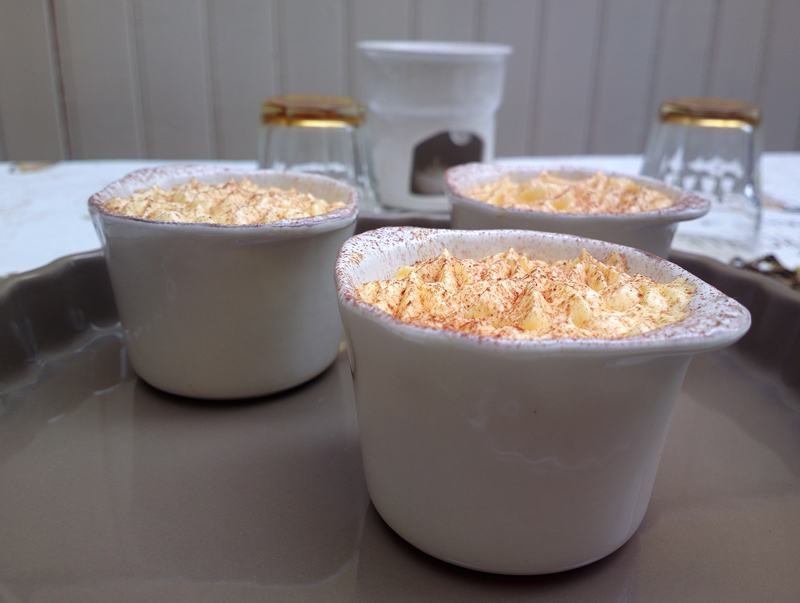 The name “Tiramisu” litterally means “pick/lift me up” because the legend says it has aphrodiasiac powers. I honestly doubt it ahaha but of course it’s a very energizing cake! There’s a famous language school near our hotel, they teach foreigners language of course, and we take care of the cooking part! Tiramisu is a very fast and easy recipe. It doesn’t need to be cooked, just stored in the frigde. If I have to compare Tiramisu to a famous English dessert i would say “trifle”, even if the flavour and method is totally different. I love chocolate. I love brownies. Be suspicious of people that don’t love chocolate and nutella. They are lying. They are on a diet or they just don’t want to put on weight. I love brownies, i think they are the best chocolate cakes in the world. Inside them chocolate’s flavour is intensified and somehow “glorified”, while in some cakes chocolate is just “one ingredient” among other ingredients. I have tried to give them a nice heart-shape, which is perfect for a romantic dinner (for example Valentine’s day or an anniversary) and also for kids. Usually brownies are cooked in a single baking tray and cutted into little squares, but they look more rustic. This way you will have perfect and flawless treats. They still have all the brownies features: cracked and crunchy surface, soft and buttery half cooked inside. The cooking time is really important, because they should not stay in the oven too much (to preserve the mellow heart). When the surface starts to crack and become paler they are done. The inverted cupcakes are born from a funny question: what would happen if the typical cupcake frosting weren’t on the top of the cupcake but instead somewhere else? In fact if you look at them, they look like regular muffins, but they hide a secret. That’s why I called them inverted cupcakes. They are cupcakes in all respects, they have the typical sponge, the cream cheese. They are just….inverted. The cream cheese is inside, cooked with the sponge. When you will open them, you will find a soft, sweet and creamy heart that awaits to be eaten. A mellow heart that contrasts with a crunchy and buttery golden surface. They are really easy and fast to be prepared, you just have to be a little bit patient to put one spoon of cake-mixture, one spoon of cheese cream and again one spoon of mixture. 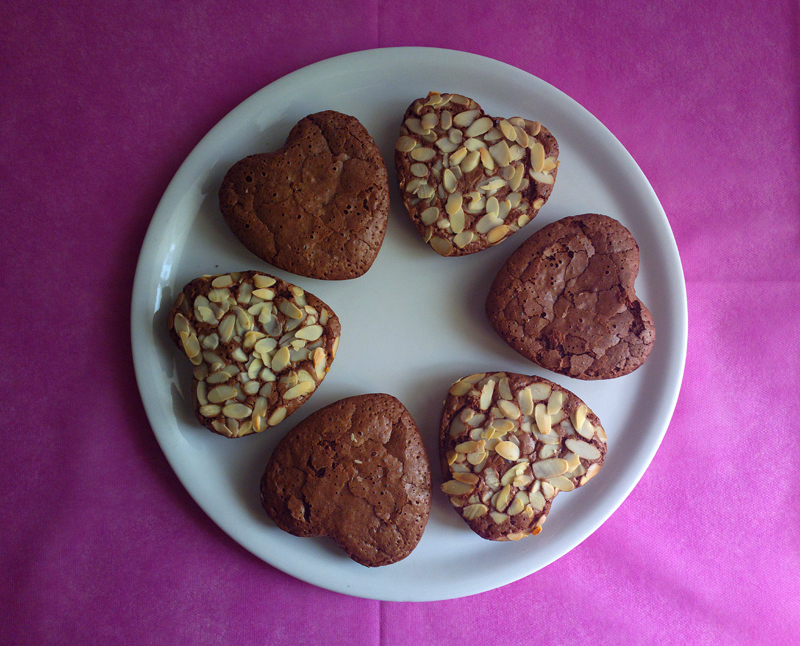 This easy way you will have perfect inverted cupcakes with a cream cheese heart!!!! 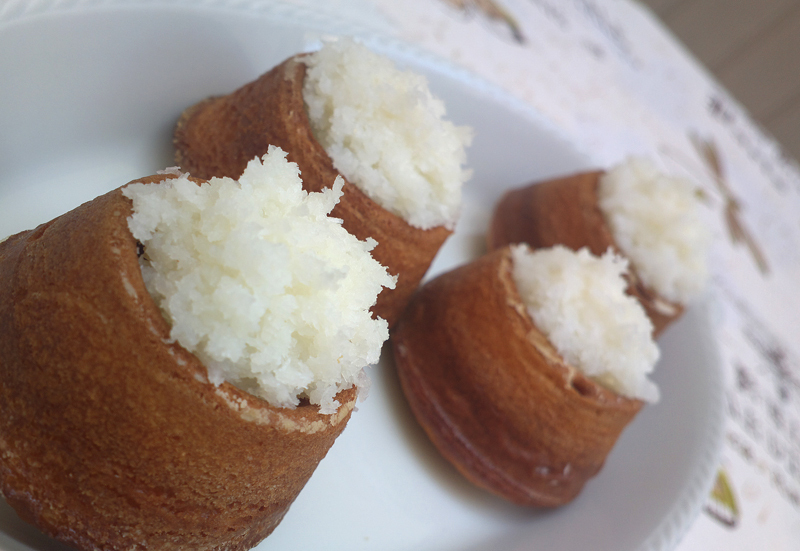 Scarpaccia is a cake from my city, Viareggio. I used to eat it since I was a child, so it’s normal for me, even if the combination of a cake and zucchini could sound quite weird. Can you imagine my surprise when I learned that a famous American cake, the zucchini bread, was similar to it? Of course the cake is different, but you can’t ignore some similarities. 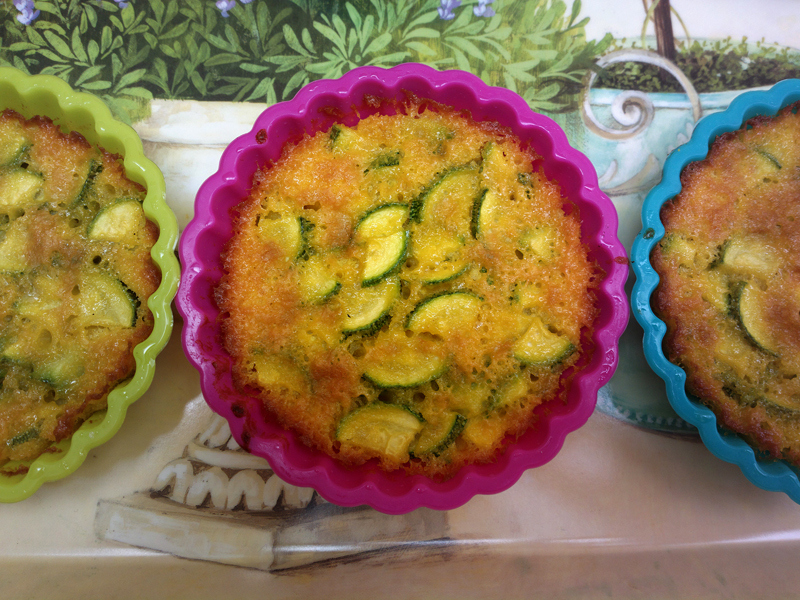 This is a family recipe, my granma used to do the zucchini cake, then taught it to my mother. THE BRAVE: those who are really courageous to dare and taste everything. THE SCARED: those who look at this cake like an alien food. they take a bit with the fork, look at it really close, smell it, analyze it, touch it and then gather all their bravery and swallow it with their eyes closed. Like they are going to die, in few seconds. The sweet baked ricottas are an anti-panic recipe. That recipe you will need when uninvited or unexpected guests will land at your home and you have nothing to prepare a cake, no flour, no butter, no milk, nothing!!! To prepare the sweet baked ricottas you just need three common ingredients: ricotta, eggs and sugar. Or if you don’t have anything else, they will be damn good also using the three basic ingredients. They are ready in 3 minutes, they cook for 30 minutes, in 35 minutes you will have a dessert ready to be eaten. They are good served warm, with the chocolate still melted. Prepare them in a nice small casserole so you can serve them to you guests inside the baking dish. The ricottas will rise a lot in the oven, and the chocolate will probably run long the side of the casserole, don’t worry! They will look country, rustic and home-made (of course they don’t look so much elengant and chic :P), and that’s a warranty of freshness and good quality. The sweet baked ricottas are a gluten free recipe, so they are perfect for celiacs. When you will plunge your spoon inside those ricottas you will find a creamy cake with melted chocolate inlays and a crunchy almondy surface. This is not a recipe of mine, i took this recipe from Fernanda’s blog Sabor Brasil. The original cake is this: Bolo gostoso com cobertura de coco, if you look at the photos you can see that the result is totally different, i took a cake and turned it into little and funny volcanoes. I think that the best way to pay homage to a recipe is to give your interpretation, so i’m giving mine! I promised myself to not change too much this brazilian cake, but i could not resist. i added lemon and vanilla, to adapt it to the italian taste, i changed butter with margarine, i put only two eggs instead of three. ok, i must admit, i changed a lot of things, also the shape, thing that made this little cakes really funny! i used little bundt moulds with a flat top (a sort of sweet crater), where i put the coconut, they really look like mini-volcanoes which erupt white and delicious lava. the biggest change that i made from the original recipe is probably the coconut covering. i reduced the quantity of milk and increased the quantity of coconut so the mixture could be wet but not too much. the original recipe suggested to serve the cake inside of a baking pan because the cake should be really wet. this is of course wasn’t possibile with pastries, that’s why i changed the covering. i really liked this mini-vulcanoes. they have a different shape from the classic muffin/donuts/bundt cakes, and they also have an interesting taste. the cake itself is soft and light (only 50 gr of butter or margarina for 18 brazilian cakes) , the filling is sweet, mellow and crunchy at the same time. This is a family recipe. My mom used to prepare the coconut cookies when I was a child. As all the good recipes it never gets old. I took this recipe from one of her old crinkled agendas. To flip through those pages is like to do a big jump in the past. Cut outs from 70/80ies cooking magazines, recipes written by hand, footnotes printed in the same agenda about home economics, and how-to-dos: how to keep the house clean, make the laundry, wash the dishes correctly, take away tenacious stains, etc. I had much fun reading all this weird stuff, I must admit. The original recipe didn’t have chocolate in it. My mom added chocolate drops, while I put an entire chocolate bar inside these cookies, cutted into pieces. The result was amazing! 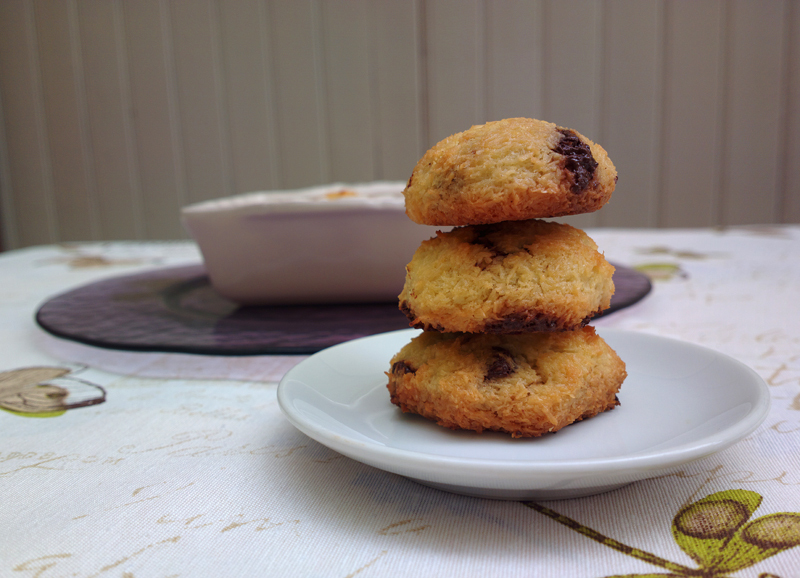 The coconut cookies have a crunchy and golden surface, they are soft and fragrant thanks to coconut and butter, and have a creamy inside, thanks to the big quantity of chocolate, which melts during the baking and looks like black lava who tries to come out from the cracks on their surface. I really loved them, and so did everyone who ate them! I am an Italian who loves cakes, this is a matter of fact! If you have read the intro of the English section of this blog you probably know what I’m speaking about. I’m in love with both Italian and Anglosaxon cakes (American AND English), especially muffin, cupcakes, brownies, pies and cheesecakes. When I’m baking a cake I always take a look to the original recipe but I try to rearrange it using Italian ingredients, for three main reasons: 1. availability, 2. tradition 3. sometimes just because they are damn good, like nutella, mascarpone, almonds, fruit, etc. 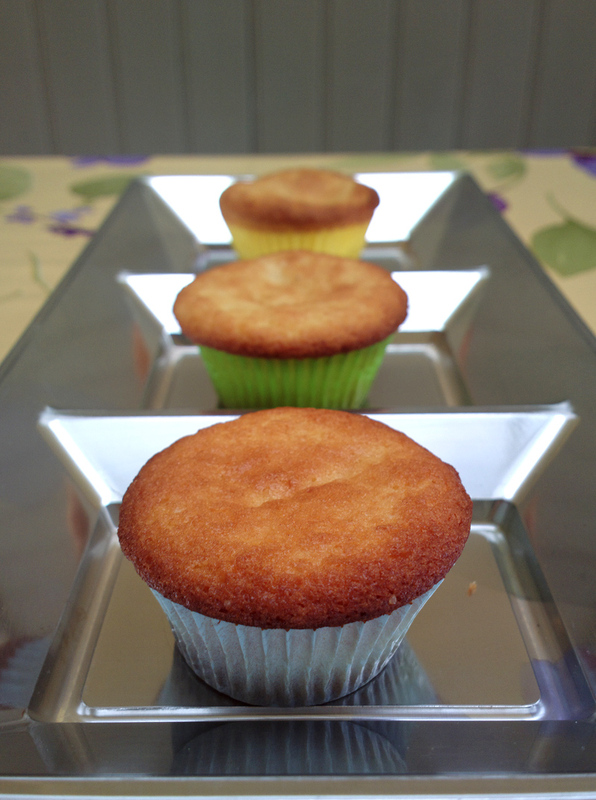 For example we use to flavour nearly all our cakes with lemon zest instead of vanilla seeds, because you know…we have plenty of lemon trees, while vanilla it’s very expensive here! 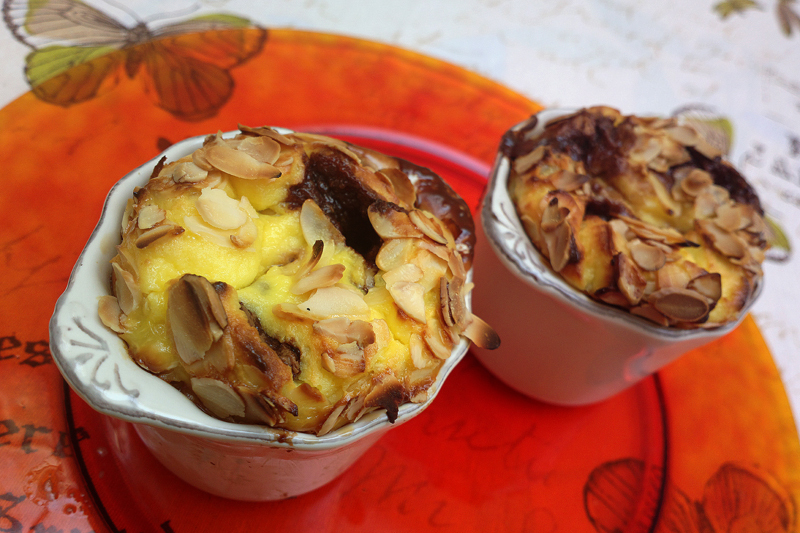 When I have prepared these mini nutella cheesecakes i wanted to use one of the most famous italian products, Nutella, for creating a classic English cake, the no-bake cheesecake. 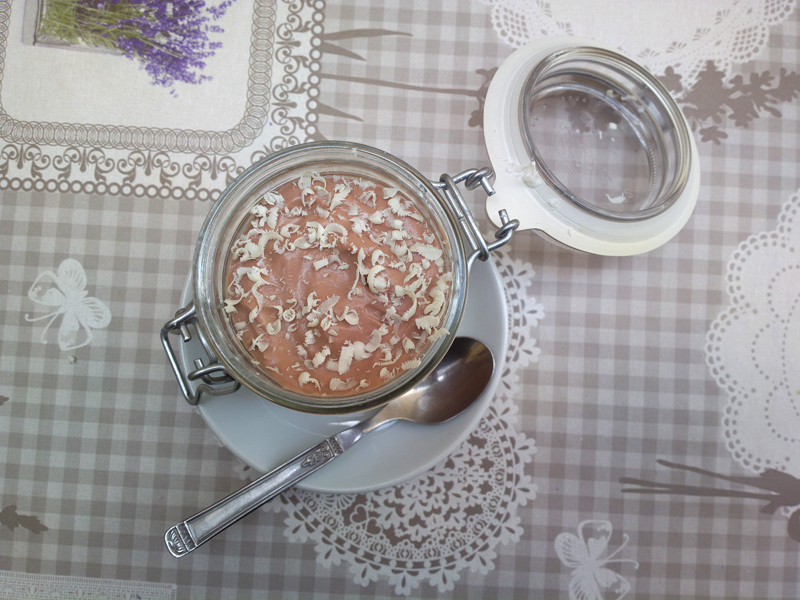 I also used a typical American way to serve mini cheesecakes, which i find really lovely, into little mason jars, those jars used to store home-made marmalades and conserves. This way you can easily offer to your guests/friends a single-serving cheesecake in a tiny and cute jar without getting worried about slices and portions.